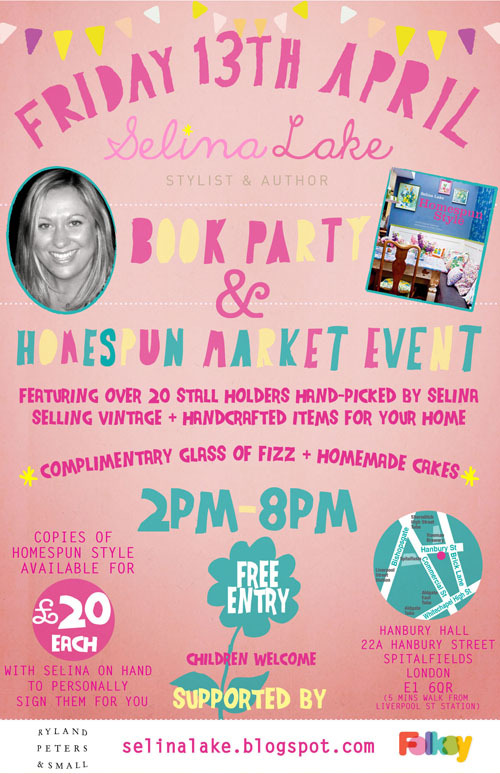 This Friday, Papermash will have a stall at Selina Lake's Homespun Market event in London, which is a book launch party for her new book, Homespun Style . There will be lots of talented designers there, many of whom I've featured on my blog, so I can't wait to meet them. Selina has a full list of stallholders, and more details on her blog. I'm sharing a stall with Charlotte Love, so come and say hello! Sounds like a lot of fun- have a great time! I wish I could go to that!